Today we release the update that we’ve been calling ‘Update 2.5’. This update includes many changes to the game which will help improve the overall Battalion 1944 experience in the long term. As we head towards the next large content release, Major Update 3! Players can expect Update 2.5 to be the rework, refinement and stability period of Battalion 1944’s early access development - as we gear up to add lots of new & improved features in future major updates and large content releases later this year and beyond. 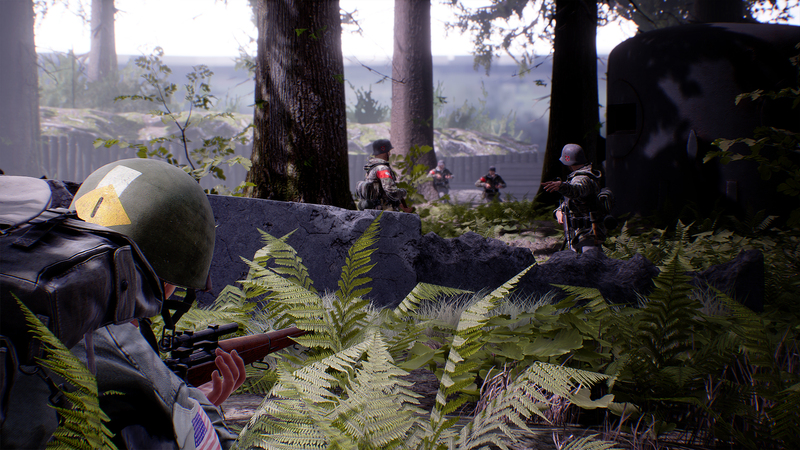 Please read today's full Update 2.5 changelog to fully understand all of the major and minor changes and additions to the game which will help secure Battalion’s foothold as a solid Early Access title, after Major Update 2’s great reception. With Update 2.5 increasing the game’s overall stability - as a community we can start working towards larger goals as we continue to develop the game based on your excellent feedback, aiming for a grass roots revitalisation as we head towards a strong full release next year. Whilst the entire XP & reward system in Battalion 1944 is being overhauled for Major Update 3 later this year, we still wanted to reward players who jump on to play the game during this period. That’s why we’ve introduced 6 NEW BattleRank weapon skins for players to unlock purely by playing the game and participating in BattleRank Season 2! 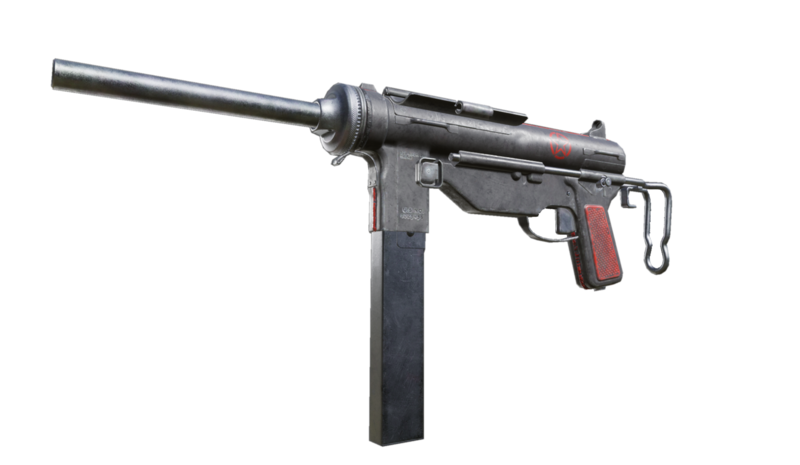 The ‘Grease Gun / Redline’ weapon skin, awarded for booting up and participating in BattleRank Season 2! To recap: In BattleRank, players level up to earn rewards. Everyone who boots the game during the season will automatically be participating in this BattleRank Season and be in the runnings to race to level 50+. Every level up will award a player with a War Chest, as well as every 10 levels being rewarded with a weapon skin unique to this specific season. Important Notice: BattleRank Season 1 (Beta 2018) has now ended. Those skins will no longer be available to earn. We announced this a few months ago, but we wanted to remind everyone of the excellent changes that are arriving in Update 2.5. This means characters are now nice and chunky, allowing for an increased feeling of solid hit registration with larger character models to plow your bullets into..
Jump height has been reduced significantly as an effort to combat the ridiculous looking ‘bunny hop’ third person animations that has dampened the game’s feel since launch. The new (less springy) animation makes the game feel more grounded - and less ridiculous compared to previous versions of Battalion where you would see soldiers jumping their own height around corners. The change still retains a good feel of height gain in first person - and no longer looks cartoon-like in third - whilst retaining the same 1-1 first to third person movement. Now that vault has been improved both back in MU2 and with further vaulting improvements coming to Update 2.5 - we’ve taken the decision to reduce the legacy crouch jump mechanic in Battalion 1944. The reason crouch jump was previously so high in MU1 and earlier was the lack of a solid vault. The vaulting mechanic has since changed - making the previous crouch height unneeded. This change has the added benefit of reducing the ridiculous height gain in the third person animation of crouch jumps vs regular jumps. 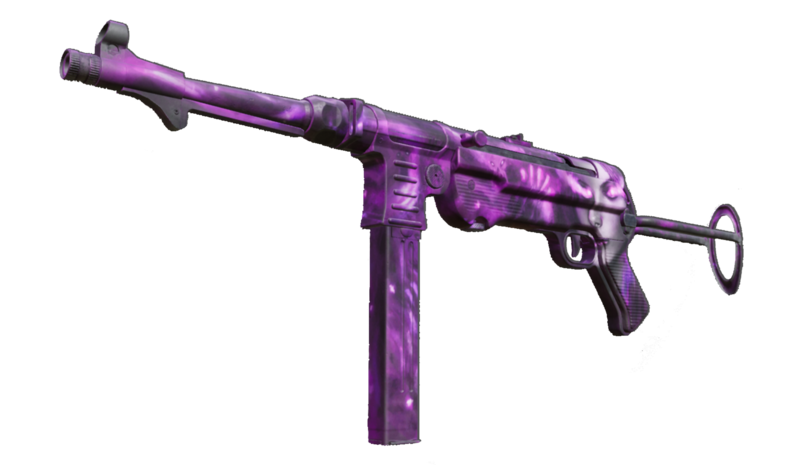 After watching many competitive games, we decided that the M1 Carbine and Gewehr 43 were too powerful of a choice for a weapon worth 1 token in the core Wartide gamemode. We want players to have the option to buy a weapon on an eco round with the ability to ‘one tap’ so we chose not to change any damage/movement values of these weapons. Instead, we have made the following changes, with the intention of reducing the ‘spam’ style of gameplay, forcing players to conserve ammo more and choose their shots carefully. We are officially banning the use of macros during online & offline play. We have also added a report option to our report system if you suspect another player of using macros to gain a significantly unfair advantage during online play. Please use the report function, as we do review incoming reports. Punishments will be given at Bulkhead Interactive’s discretion. Increased Character Scale by 16%. Increased movement speed slightly across the board. Jumping off ladders now pops you slightly up and backwards away from the ladder instead of just dropping you directly down. Crosshair no longer disappears while sprinting. Timer is now red when a bomb is planted. When a player on allies decided to stay alive and save his weapons and loses the round, that player no longer receives a round loss bonus. Spectators can now zoom the radar out 100% so that they can see the entire minimap. Servers now write game events to a JSon formatted log file. After a game has ended, this file is moved to a game specific folder for later accessing. Added a new console command so admins can grant coins to users via SteamID. Added a new console commands so admins can grant weapons and grenades to to users via SteamID. Social menu is now more integrated into the pause menu. Enemy positions will no longer be constantly visible on the radar if the enemy swaps weapon mid-shooting. ADS no longer bypasses the effect of prone block. Fixed a bug that caused the server to crash when defusing. Travelling from a LAN server to a new map will no longer do ‘wacky stuff’ (dropping you through the world, etc.). Fix for knife staying visible when quickly knifing and then picking up a new weapon. Spectator can no longer see the loadout of last person spectated when in freecam. Fix for the bomb icon showing on the top bar after a team swap. Default VOIP volumes for send and receive have been modified to prevent destroying your ears. Players wallets are now reset when a player leaves a team. Fixed a bug that causes the 'Battalion has crashed' Crash reporter to show when opening the scoreboard for the first time. Killing an enemy by hitting them in the head with a grenade will no longer show the wallbang icon in the killfeed. Weapon firing particle effects shouldn't behave strangely inside buildings anymore. Entering the training map should no longer load the game mode of a previous LAN game. Fixed steam avatars not loading when accepting a party invite after a lobby is set as non-joinable. Fixed the Grease Gun and MP28 pivoting around the trigger in the inventory viewer. Parties can now navigate through menus without being forced to the main menu whenever a party member goes there. Fixed ‘muting all’ when kicking players. Spectator loadout information side bars now work correctly in arcade game modes. Nation icons should now correctly swap when teams change sides at halftime in Wartide. The bomb should respawn correctly if a player dies outside the map bounds. CTF flags should no longer disappear with a flag carrier who leaves the game. Fixed an issue where a defuser was able to continue defusing after dying, resulting in them winning the round. Fixed matchmaking location not being updated when changed via the settings menu. Radar will now show teammate colours in Wartide in relation to the scoreboard. Possessing a bot will no longer offset the view of the weapon model. Possessing a bot will no longer allow a player to carry the bots weapons and tokens into the next round - they stay on the bot itself. Bots can no longer see through smoke! Fixed an issue where spamming escape in the main menus would result in getting stuck on a blank screen. Fixed an issue joining a party would pull you back to the main menu from other menu screens. Fixed an issue where the "Searching" matchmaking UI would get stuck on the screen after leaving a party that was searching for a game. Fixed an issue where party members were still in a party when they lost connection to host. Fixed an issue where drawing in the knife round would think one team had won. Fixed an issue where the ready up prompt wouldn't display correctly with how many players the server was waiting for before starting a match. Fixed an issue where weapons could be picked up through walls, ceilings and when climbing ladders. Fixed an issue with spectator where the gun of a spectated player would disappear. Fixed an issue where clicking the ok button on a dialog box during a server travel would crash the game client. Fixed an issue where the bomb would stay visible when a player is defusing, resulting in the appearance of two bombs. Fixed a spectator issue where clicking through spectated players would result in the progress wheel disappearing. XP will now only be granted as a match bonus once, preventing the exploited XP farming glitch of leaving and rejoining servers to stack match bonuses. XP will now only be awarded after the first 'direct' XP reward. An example of a direct XP reward is getting a kill. This will prevent macro farmers from being awarded most of the XP they were farming. Custom servers now explicitly say 'Experience gains are disabled' to prevent any player confusion. XP can only be gained on official matchmaking servers. Fixed an issue where first-person blood squirts would appear when another player shot near you but didn’t hit you. Fixed an issue where the vault prompt would say [spacebar] regardless of bound key. Fixed an issue causing a players avatar to flash when that player buys a weapon. Fixed an issue causing grenade markers to show for players where there was no grenade. Lean keys can no longer be used to move up and down ladders. Players in a party who lose connection to a game server are kicked from their party. Fixed the Springfield | Dragon Breath weapon skin showing as ‘Wartorn’. Bots no longer count as players on team select UI. Text chat no longer loses focus in certain situations. Swapping to defenders then swapping back to attackers in the buy phase now correctly displays the bomb world marker. Fixed an issue where players would hear the round end music if they died just before the round ended. Fixed an issue where being kicked by Easy Anti-Cheat would give you the message “Lost Connection to Host”. Fixed an issue where it was difficult/impossible to ADS immediately after stopping defuse/planting whilst using the “hold” ADS bind. Fixed an issue causing other players’ ranks to display incorrectly at the start of the game. Fixed an issue causing the game to open incorrectly into full screen when set to be windowed in the settings. Fixed an issue causing the game to open with the incorrect screen settings if the settings are edited in the players custom config whilst the game is closed. Fixed an issue causing games to load the game for the first time in 1080p even if your monitor supports higher resolutions. Fixed smokes blocking weapon pickup notifications. Added more vault volumes to all levels. Rescaled appropriate doors & windows to match new character scale. Fixed being able to see through various walls on Invasion. Removed invisible collision on Invasion that blocked grenades. Stopped the bomb floating on Invasion. Removed the ‘dud flag’ on Invasion. Players can no longer get onto/under the beach on Invasion. Fixed bullets hitting invisible collision on Derailed A site. Fixed players being able to lean through specific walls on Derailed. Boxes on Derailed B site no longer penetrable (this was unintended). Players will no longer get stuck in collision next to the artillery guns on Battery. Various overpowered angles on Battery removed. Removed invisible collision on Battery that blocked grenades. Fixed double spawn issue on Manorhouse V1. Players can no longer pixel walk on A barn roof on Manorhouse V2. Fixed various buildings being incorrectly culled on: Derailed, Coastal, and Invasion. Fixed various clipping issues allowing players to lean through walls on all maps. Various gaps and ‘pixel peeks’ removed. Thanks, we’ll see you on the servers this weekend!